February is the most romantic month of a year and I hope most of you are busy with Valentine’s Day shopping these days, am I right? Even I’m also excited to celebrate my first ever V- Day with my hubby, but wondering what to gift him beside roses (totally confused)! Anyways, today I have come up with another Nature’s Co product – Kiwi Hand and Nail Cream. This is a full sized product of my November beauty box 2015. To know more about this cream, read ahead. Soft, supple hands need the natural goodness of Kiwi. Rich in vitamin c and a natural antioxidant, you will feel its moisturizing effects almost immediately. Price- 445 Rs for 125 ml. Claims- It consists of vitamin A,E & C; moisturizes, softens, rejuvenates and strengthens nails. How to use: Pat it on, massage gently into hands and nails then luxuriate in it. Availability – Online and in TNC stores. 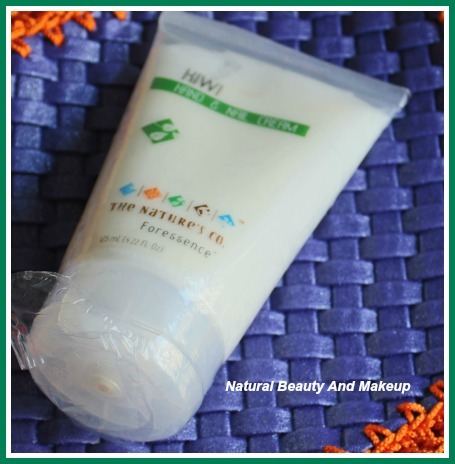 This hand and nail cream comes in a transparent tube with a tight flip cap which makes it convenient for travel. The ingredients list and other information are printed on the back of the product. The texture and the consistency of this hand and nail cream are thick yet creamy. It has a mild fruity fragrance. Since the day I have started cooking by myself, more often than not I find my hands playing with water throughout the day. Not because I love doing this, but I always prefer washing each and every veggies or plates twice before cooking or eating (No, am not suffering from any disorder! LOL). It has become a habit of mine naturally these days. Moreover I am not comfortable with gloves. But this wrecked havoc on my hands and nails eventually. They became more dry, itchy and rough. I used to apply my moisturizing lotion post wash, but it failed to nourish my hands and nails. So I was desperately looking for a good hand cream which could help me and then I received this Kiwi Hand & Nail cream from the Nature’s Co beauty box subscription. 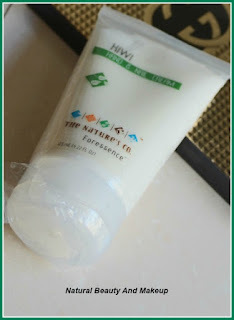 The Kiwi Hand and Nail cream belongs to Foressence range of The Nature’s Co. The packaging comes in a tube format with a flip cap which is totally spill proof and is easy to dispense the right amount of product. The cream is white in color and the consistency is quite thick. But when applied on the hands, it gets absorbed easily. Personally I have never tried the fruit Kiwi, though now I am interested to eat this fruit, just because of the smell. Such a sweet aroma it has! I have been using this cream for the last three months, so it’s enough time to judge a product and say something about it. Isn’t it?? Well from my corner of experience I would say it is a descent product which gradually improved the texture of my hands and nails. As usual like other products, I researched about the ingredients of this cream also. Besides the Kiwi extract, it is full of all the goodness of Shea butter, Kokum butter, Olive oil, Wheat germ oil, Sweet almond oil, Avocado oil, Grape seed oil, Jojoba oil as well as Vitamin E. Now I understand why it is working so well for me. The best thing of this cream is though it is made of all moisturizing oils, it does not make your hands that greasy. 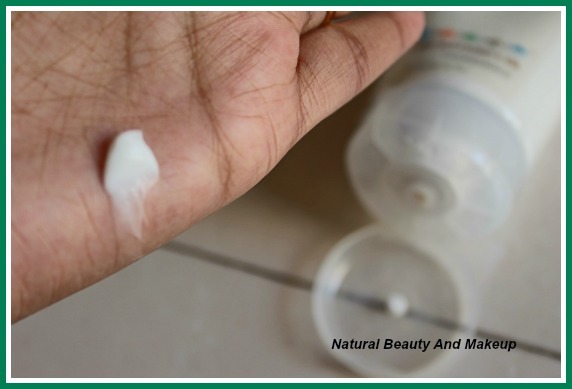 Though immediately after applying the cream, you may feel a little greasiness on your hands but wait for few minutes, it would get absorbed soon. It is light weight but has strong hydrating effects. Since most of the time I am busy with my household chores, I prefer using this cream before hitting bed (noon nap and night sleep). This full sized product of 125 ml is going to last long for me. Has sweet aroma, which lingers for long time. In a nutshell, I would say the Kiwi Hand and Nail cream is a descent product to try out, which is working really well on my dry and rough hands. Besides it is true to its claim of strengthening nails, rejuvenating hands, making it soft and supple. I shall continue using this and will repurchase it soon once I finish this one up. However I will update this article later on to let you know how it acts in summer time, when my skin gets oily! Wow sounds great. I am almost done with my Avon cream. I guess I will give it a shot. You are so right, even I do think it is apt for dry hands only! oily beauties might find this greasy on their hands,especially during hot and humid weather.For the time being its working for me,still waiting for summer time now to see its effectiveness! 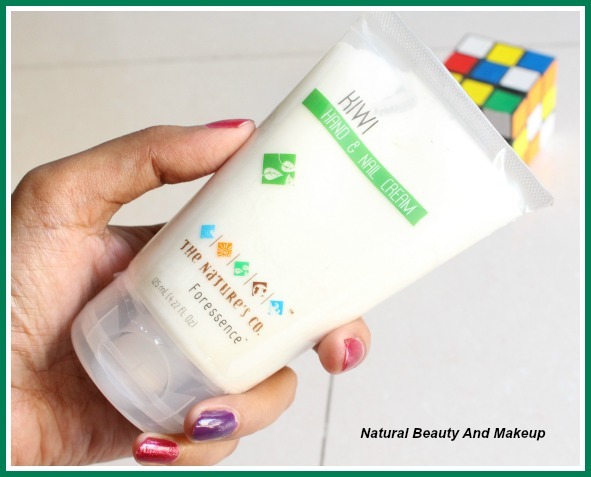 Thanks Swathi :) I would like to request you to gift this cream to aunty and let her try. It worked for me, I hope would work for her also! My recent post: ROOTS Professional Curlpro Hair Curler Review, Price, Details, FOTD !! Aah this is the thing which I really appreciate about this cream. It is gradually improving my hands texture also,my hands suffered a lot!! 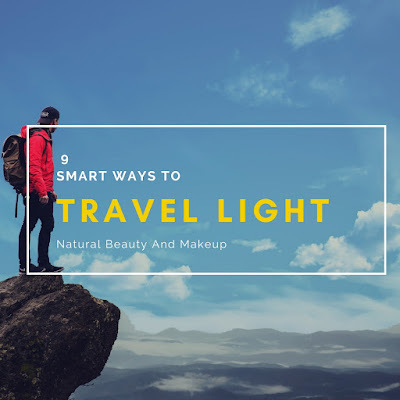 Actually, I have not tried any Nature's co products till now. I have tried M&S hand n Nail cream and liked it a lot. Very detailed review. Thank you :) Glad you liked my review on it. I did not try M &S one, would like to give it a shot! This is my first ever hand cream dear and am using it religiously:) Try this one,hope you would like it too :) Thank you. Hand creams are very important, my hands get dry in Ac . i keep a hand cream handy always, currently using Cuccio hand cream. I faced the same thing when I used to work at office,but using water all the time doing household chores itself making my hands dry and rough!! and weakening nails too :( Well I didn't try Cuccio one, will try this for sure :) Thank you. This hand cream sounds nice. I have their foot cream and it is wonderful. Definitely picking up their hand cream as well. Sangeeta thanks for sharing this, will keep this in mind when I will buy foot creams next time..am going to explore all the Nature's Co products :D am becoming a fan truly! Thank you. Lol even i have a big time ocd with my hands n feet washing.Though i never heard of this brand but it looks tempting.Would love to try..
Dear Anu,The Nature's Co brand is famous mostly due to their 100% Vegan and cruelty free beauty products :)I'm liking their products too,umm kinda hooked to them now :D Try their products at least once! This product looks like a great one! Yeah I found it great too :) Thank you..